A flower to liven up all those who need it! Made to welcome this Spring, may this flower bloom in you the need for tough. So that when one presses a swich for electricity it may come in a way that no people suffer if a tsunami or earthquake happens. After all, “clean energy” should be clean. So that everyone may live in peace and with all the dignity one deserves. We all inhabit the same house, it’s called Earth. Let’s care for each other and for our home! 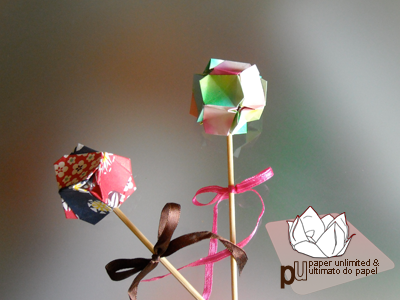 Origami: Spring Flower Ball or, if you prefer a japanese name, 春花手毬 or 春花てまり. Made by yours truly, it will be presented soon. With a diagram. This entry was posted on 2011|04|29 at 17:31 and is filed under rumblings. You can follow any responses to this entry through the RSS 2.0 feed. You can leave a response, or trackback from your own site. I love your blog! I has inspired me to start my own. 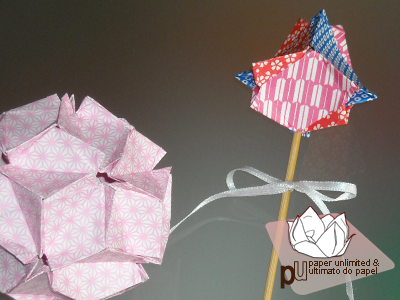 I also want to try to use the models I fold for my charity Folding for Phocomelia. I suffer from this condition and I want to help other poor people in my country to get the prosthesis (and they are a litttle expensive). I promise to mail a model for every generous donation. I’m glad my blog has served as inspiration for you to start one! thank you Isa, that means a lit to me. Have a great day!